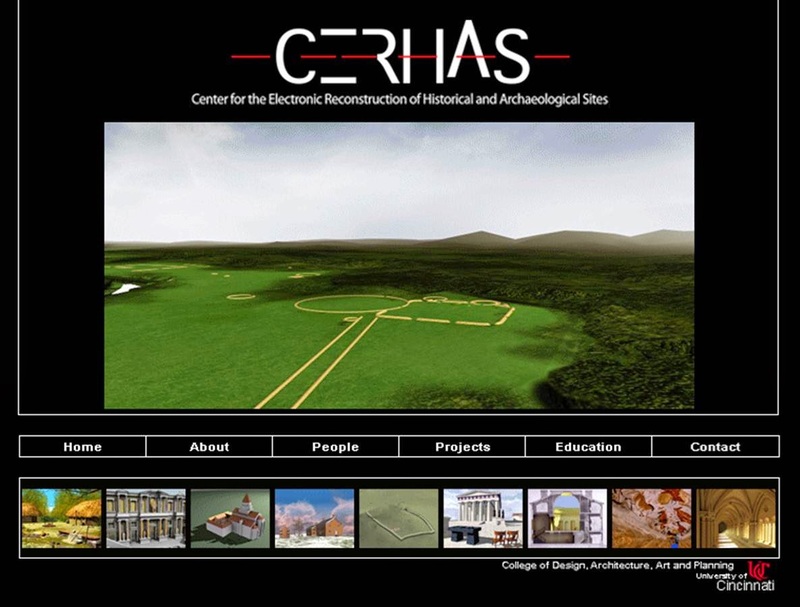 "The mission of CERHAS is to unite research, education, and public awareness through innovative and accessable high-quality multi-media presentations; and to connect the importance of our heritage to our modern conditions in meaningful ways...While accurate scholarship is basic to our work, we value the ability of our programs to present a variety of voices and points of view. Our interactive media lend themselves to reflecting the open-endedness of knowledge. We can offer and juxtapose ideas from different people, places, and times as parts of interactive journeys through learning environments.. Our particular emphasis on spatial and geographic orientation makes these journeys memorable, and helps people develop their own questions for further learning. In our physical exhibit designs, we've set out to reflect a similar spatial experience: to embody the same spatial principles as the sites themselves." about the monuments and the cultures which created them. For more information, visit EarthWorks, here. "Two thousand years ago, the eastern Midwest of North America was the heartland of an amazing culture, which produced the largest concentration of precise, monumental earthen enclosures in the world. For the past two decades, the "EarthWorks" project, based at the University of Cincinnati, has been creating interactive multimedia presentations about these astonishing places." At the end of each video scene, users cans select locations and topics within our virtual spatial landscapes. Rich diverse content is based on years of research: we interviewed not only the archaeological experts but many scholars from various disciplines, and also many Native American leaders, experts, and storytellers: all these voices appear throughout the earthworks tours. 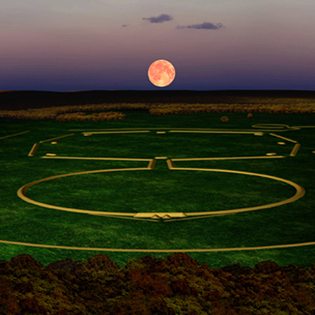 The largest exhibit version covers earthworks comprehensively throughout Ohio. It is now installed into the Ohio History Connection in Columbus; part of the permanent exhibit including the state's extensive archaeological collections. The design of the exhibit, a virtual model, and favorite scenes can be found on the EarthWorks website. cultural, artistic, and tourist amenities. of the earthworks, and is generously funded by the National Endowment for the Humanities. " Little Miami River sites are featured in a version of the EarthWorks exhibit. Interactive exhibit for its visitors' center, now being upgraded to HD with new content. Site specific edition of the EarthWorks exhibit. Site specific edition of the EarthWorkds exhibit. Archaeological discoveries along that section of the Little Miami River. (2013). Comprehensive and largest exhibit for earthworks throughout Ohio. Short videos from EarthWorks content. the Great Serpent Mound, Inside a House, etc.